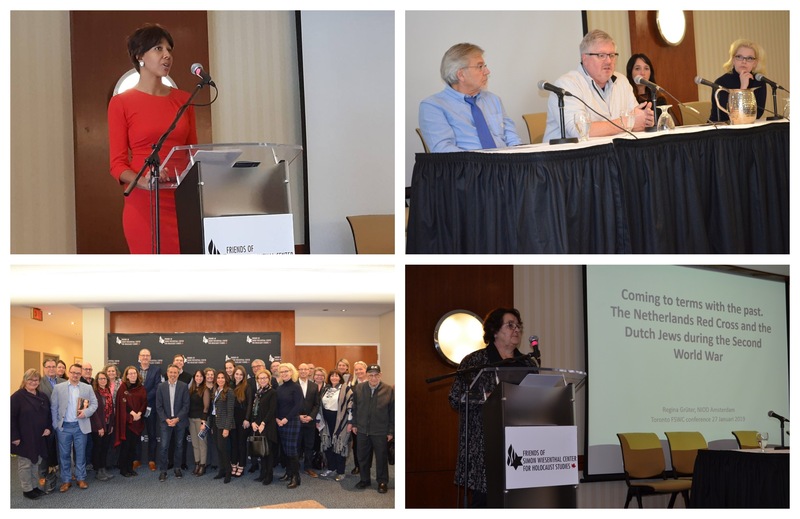 Friends of Simon Wiesenthal Center hosted its 4th annual National Policy Conference on Holocaust Education in Toronto on January 26th and 27th, 2019 in recognition of International Holocaust Remembrance Day. The conference brought speakers from Ontario and all the way from Germany and the Netherlands to share their knowledge and insight into Holocaust education with a room full of educators, police and community members. Following Saturday's dinner and candle-lighting ceremony – during which a moment of silence was held to remember the 6 million Jewish men, women and children who perished in the Holocaust and recognize the Holocaust survivors who were in attendance – on Sunday, FSWC welcomed TVDSB Director of Education Laura Elliott, bestselling author Jennifer Teege, researcher Dr. Regina Gruter, and an educator and multi-generational panel to the stage. Discussions focused on steps we can all take to appropriately preserve the memory of the Holocaust and educate future generations. A big thank you to all who were in attendance, the conference co-chairs Danna Horwood, Laurel Linetsky-Fleisher and Vanessa Yakobson, and to the speakers who shared their incredible experiences, knowledge and advice. Stay tuned for details regarding the 2020 National Policy Conference.